Click below to create a new account. Already registered? Log-in to have your say and access exclusive content. 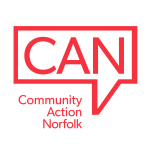 Join the Team - Community Action Norfolk are recruiting! How do you make sure your play equipment is safe?